Addition of a CO2 capture system to an existing power station has some impact on water consumption. CO2 capture systems require additional water for cooling and process make-up, which can be of concern, particularly in areas of water scarcity. During the past decade, a number of relevant studies have been published that estimate the increase in water use when a capture system is added to Pulverised Coal (PC), Natural Gas Combined Cycle (NGCC) and Integrated Gasifier Combined Cycle (IGCC) power production facility. 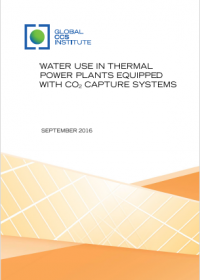 The report, authored by the Institute’s capture experts Guido Magneschi, Ron Munson and Tony Zhang, provides insights about how adding a CO2 capture system to a power plant impacts the volume of water withdrawn and consumed. The results of this analysis serve to dispel myths about the use of water in CCS systems. 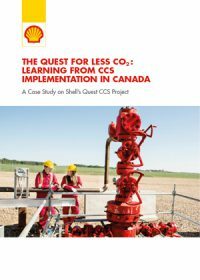 Specifically, they challenge the misleading assertion that CCS systems will double water consumption, which is often reported in papers and articles. On the contrary, analyses of available data indicate that for power plants using wet-recirculating cooling systems, the increase in actual water consumed varies from approximately 20 per cent to 60 per cent, depending on the capture technology. For once-through cooling systems the increase can be negligible, or even negative when water recovery options are implemented. Water use estimates cannot be generalised, and are very dependent on the power plant type, the CO2 capture technology and the cooling system used. 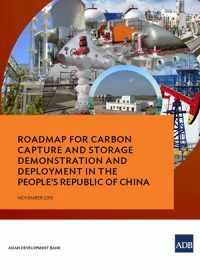 This Roadmap provides information on how China could achieve its climate goals through policy measures that encourage the deployment of CCS out to 2050. The work draws from economic modelling by experts at The Institute of Energy, Environment and Economy at Tsinghua University, and The International Institute for Applied Systems Analysis. 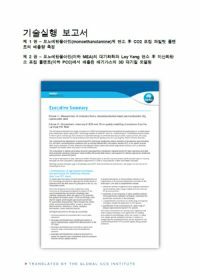 Insights about this report, from Lawrence Irlam (Global CCS Institute Senior Adviser Policy & Economics), Tony Wood (the Grattan Institute’s Energy Program), and Annika Seiler (Finance Specialist (Energy) with the Asian Development Bank (ADB)) are available on the Global CCS Institute website. 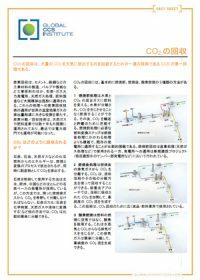 Japanese translation of Capturing CO2. 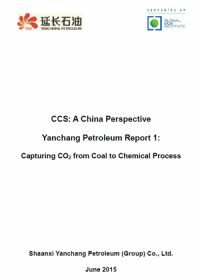 This first report of the series discusses the capture aspects of Yanchang Petroleum CCUS Project. It highlights project achievements and lessons learned from the project. 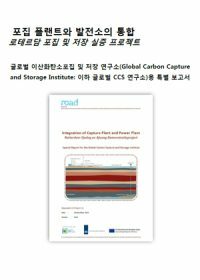 Tony Zhang, Institute Senior Adviser for Capture, Asia-Pacific provides an overview of this report in an Insight available on the Global CCS Institute website. 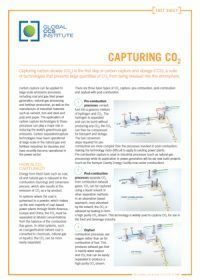 This fact sheet by the Global CCS Institute provides an overview of the different processes for capturing carbon dioxide emissions. 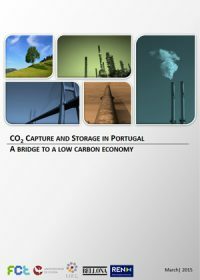 This report evaluates the role the CCS technology could play in the Portuguese energy and industry system as a mitigation option to achieve deep GHG emissions reductions. The cost effectiveness of its deployment, and the risks and additional benefits it may provide for economic development are also analysed. 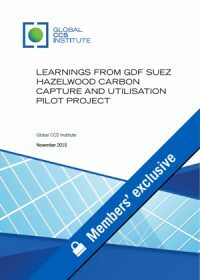 The Global CCS Institute supplied financial and technical contributions. O presente relatório avalia o papel que a tecnologia de CAC poderá desempenhar no sistema energético e industrial Português para atingir reduções significativas de emissões de GEE. São analisadas as condições que determinam o seu custo-eficácia, e os riscos e benefícios adicionais. This research project focuses on the development of the advanced aqueous ammonia based post combustion capture (PCC) technology. 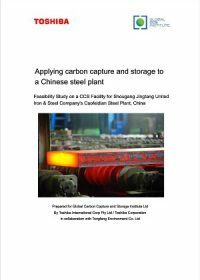 Two years into the project a novel process was proposed integrating CO2 and SO2 removal, flue gas cooling and ammonia recycle. Under the typical flue gas conditions, the proposed process has a SO2 removal efficiency of over 99.9% and ammonia reuse efficiency of 99.9%, which was confirmed by the experimental results. 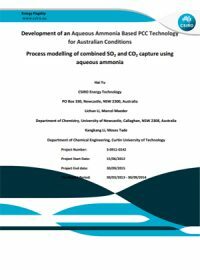 A rate based model was also developed for the aqueous ammonia based CO2 capture process and validated using the results from Munmorah Power Station pilot plant trials.